Hi New Zealanders. 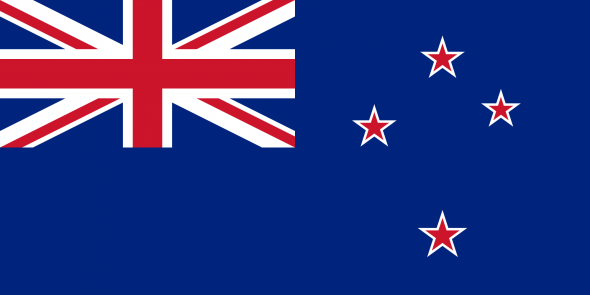 Sight stats indicate a lot more traffic coming from New Zealand. I suspect this is due to your recent military acquisition of the LMT CQB 16 and your curiosity about the AR15 platform. In case some of you out there in Americaland were not aware, LMT recently won the bid for the NZDF weapon replacement program. The LMT CQB16 won a contract for 8000 rifles and beat out several other submissions by Beretta, CZ, Steyr, Colt, Sig, and HK. For all those individuals in New Zealand curious about their upcoming 2016 rifle, you are receiving a versatile piece of equipment. A 406 mm barrel assembly is a perfect compromise for the 5.56 projectile, and your nations choice of 77 grain projectiles gives you the best ballistics capable of 5.56 in a semi-automatic AR15 platform. The 77 grain bullet is more aerodynamic in flight than M193 55 grain and the 62 grain M855 and is the loading of choice for shooters who want to shoot across the course in CMP and High Power competitions with one loading. While I don’t know the specifics of the details surrounding your new projectile, the equivalent load used by the Americans in both military and civilian competition is the Mk262 and it is a popular choice for DMR type roles and precision shooting. With a 406 mm chrome lined, free floating barrel and quality 77 grain ammunition, you should expect 38-50 mm groupings at 100 meters. Overall the weapon system is incredibly versatile, and you should have no issue converting the CQB16 to a designated marksman’s rifle by just adding quality optics and a nice trigger… with little more necessary than that. 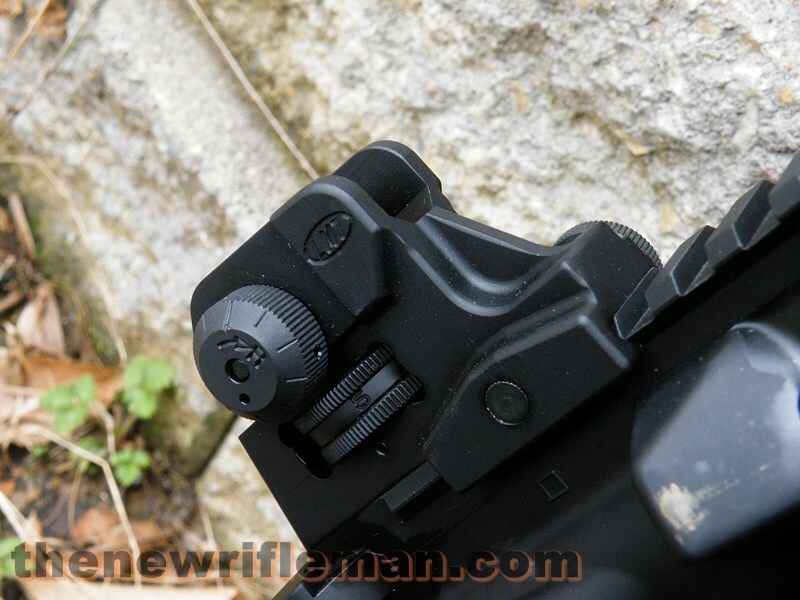 The drum adjustable sights are calibrated in meters and feature a large aperture for low light and 0-200 meter shooting, and a small aperture which is calibrated to 300 meters. From the small aperture, the drum assembly can then be rotated to the appropriate range in 1/2 minute increments out to 600 meters. Thanks for stopping by Curious Kiwis. I suspect most are civilians, but hopefully this illuminates on some of the features military members will find in their hands come 2016. Any questions? Ask away! I believe it would make more sense if they got it 18 to 20 inches versus 16 inches. My 18 and 20 inch ar’s love th heavier OTM projectiles. Bias alert .. I think the USofA would be well served with a 20″ rifle and not the 14.5″ M4’s. Either way .. Good job LMT.